University AME Zion Church is part of a larger connectional church which has stood for Freedom for over 200 years. We as the local church in the Palo Alto area stand in total agreement with the positon presented below by the Board of Bishops of church. It is at times like this that the church must lead our communities in addressing the continuing issues of equality and social justice in America. The University Church family is proactively in dialogue to ways to address the manifestation of those legal, moral and spiritual wrongs in our community. We are praying for the family of Mike Brown and the many other victims of police brutality that have been let down by a justice that won't even allow the case to goto trail. 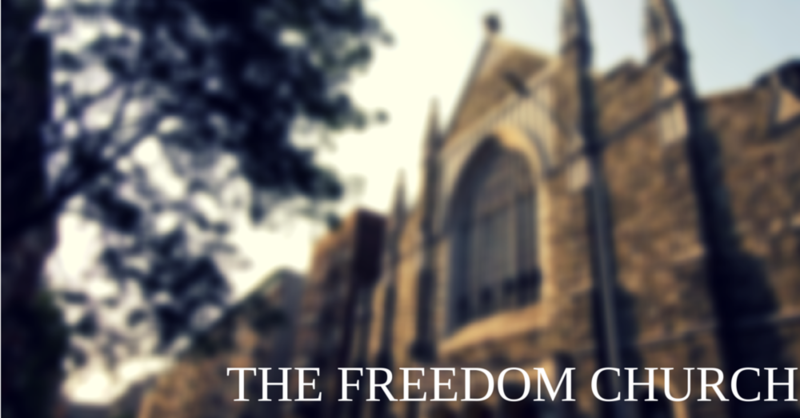 The Board of Bishops of the AME Zion Church, known throughout our more than two hundred year history as “The Freedom Church”, is profoundly concerned by the lack of justice for the most marginalized in this country; for those in poverty, for those who are immigrants, and for those who are black or brown, young and living in urban communities. This is most recently evidenced by the lack of an indictment in the killing of Michael Brown on the street in Ferguson, Missouri. While the facts may be disputed and the result of a fair trial might have deemed Officer Darren Wilson innocent, the failure of the prosecutor and the grand jury to refer it to full trial by jury leaves many unanswered questions and a festering sore in the community and across the nation. We affirm that there is a time for everything, including healing but now is not that time…at least not yet. Now is the time to demand justice. Now is the time to feel deeply, repent sincerely, pray fervently, protest collectively, and plan strategically. Now is the time to lament the lost of the life of yet another unarmed, young black male at the hands of an officer who has sworn to “protect and serve” those lives. Now is the time to express our righteous anger that black lives are marginalized and devalued from the cradle to the grave. Now is the time to continually confront systems of racism, inequality, and injustice. A call is issued to all persons of goodwill of every race, nationality, and economic status, to acknowledge the lingering and pernicious racism that impacts virtually every aspect of American society but has its most deadly consequences in the encounters between young black men and law enforcement and the judicial system. Our country and her leaders must ask some penetrating questions. Have we been lulled into complacency after the achievements of the Civil Rights Movement, ignoring the remaining struggles in the areas of education, economics, and mass incarceration? Have we been deluded by greater inclusivity and access to public accommodations to erroneously believe ours to be a “post-racial” society? Have we, as religious leaders and the broader community, become so coopted by status, comfort, and materialism that our prophetic voices on behalf of the marginalized have been muted? To understand the perspective and pain in our community, the tragic events in Ferguson cannot be viewed in isolation, they must be interpreted in light of similar incidents across the country. Young African American males are twenty one times more likely to be shot by police than whites. We grieve with the parents and family of Michael Brown, as we continue to pray for and grieve with the families of Trayvon Martin, Eric Garner, Jonathan Ferrell, Kimani Gray, Kendrec McDade, Amadou Diallo, Sean Bell, Aaron Campbell, Wendell Allen, Oscar Grant, and the hundreds of young black men, who though unarmed have been killed by police officers. We also pray earnestly for the families of the thousands of youth killed in our cities by other black youth. Our outrage about unjustified police killings does not diminish by one iota our constant efforts to address the pandemic of violence in our own communities. We have and will continue to pursue all efforts to lift our youth out of poverty, crime, and prisons of inadequate education. Once again, we call upon all municipalities to evaluate their current police training procedures in an effort to address racial and social biases, and take concrete, measurable steps to improve community/police relations. All police officers should be equipped with body cameras to provide support for good policing and deter abusive actions. Additionally, we challenge all municipalities to examine their recruitment and hiring procedures with the goal of moving towards a police force that reflects the community it serves. Pastors, we encourage you to use this Sunday, the first Sunday in Advent, to preach and teach on social justice, reminding our congregations that the Lord came to dwell among us to bring salvation, liberty, and justice. GOD is still the GOD of the oppressed. Bishop George W.C. Walker, Sr.